On November 27, 2000, God sent a golden ray of sunshine into the world to light the Way of faith, hope and love and to bless many lives. 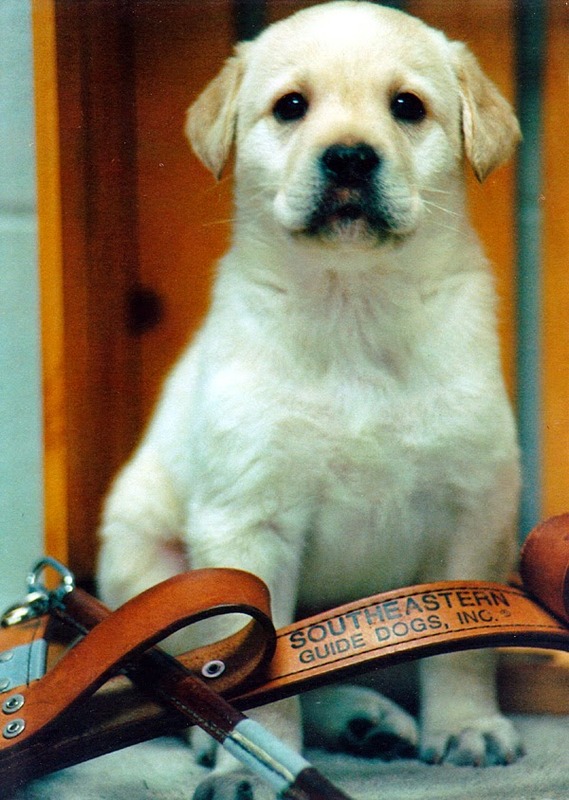 Zack was born at Southeastern Guide Dog School in Palmetto, FL to birth parents Judy and Walker. This young man was truly a very special gift from God, Himself. He was, indeed God's Guiding Light. At around ten weeks old, Zack went to live with his foster parents, puppy raisers Lew and Cheri Hall just a little further south of Palmetto. Here he is with "Mama Cheri." 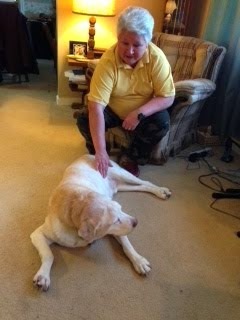 The next year was spent learning basic obedience, socialization and other skills needed to accomplish his life's work. He also signed on enthusiastically for the electives of eating and playing ball! 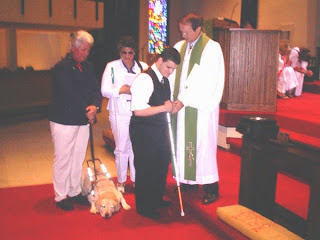 This brave young man proved to be an exemplary scholar and ambassador for the sighted and blindness community. Although much of his early years were spent in the Sarasota Hospital (where "Mama Cherri" worked), he soon became a familiar face to hundreds who lived in that area. All too soon for his foster parents, Zack returned to Southeastern for professional harness training. 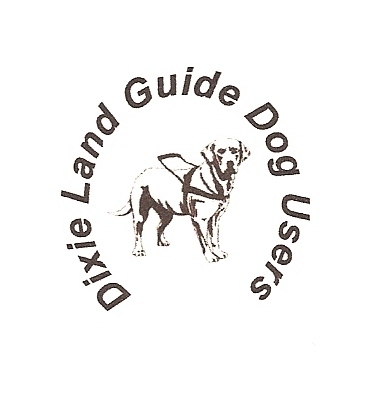 On October 23, 2002, Zack was matched with his "new mom," Audrey Gunter who is now the President of Dixie Land Guide Dog Users, Inc. Shortly thereafter, he began to forge an indelible mark on society, in general-teaching others about guide dogs and the proper etiquette necessary from the public. 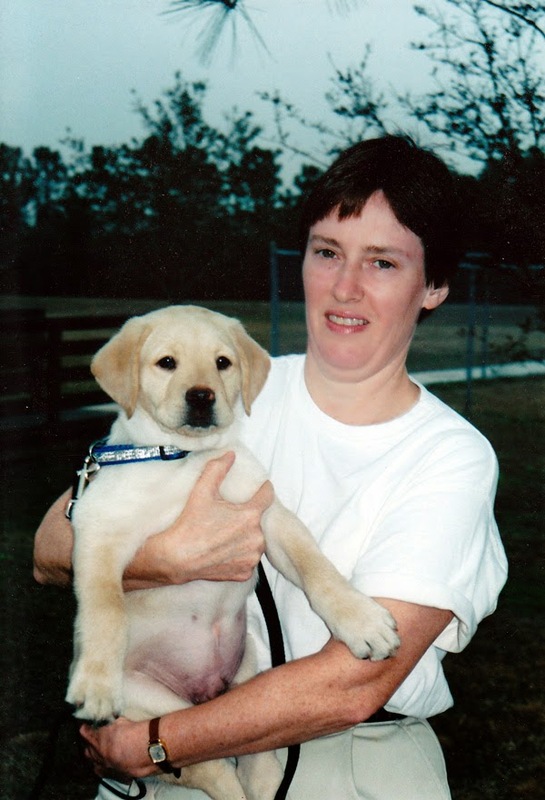 He helped establish and pass South Carolina's Guide Dog Protection Law ("Layla's Law"); brought several hospitals' policies regarding service dogs into ADA compliance; made hundreds of public appearances promoting public awareness while offering peer mentoring and advocacy for the blind. 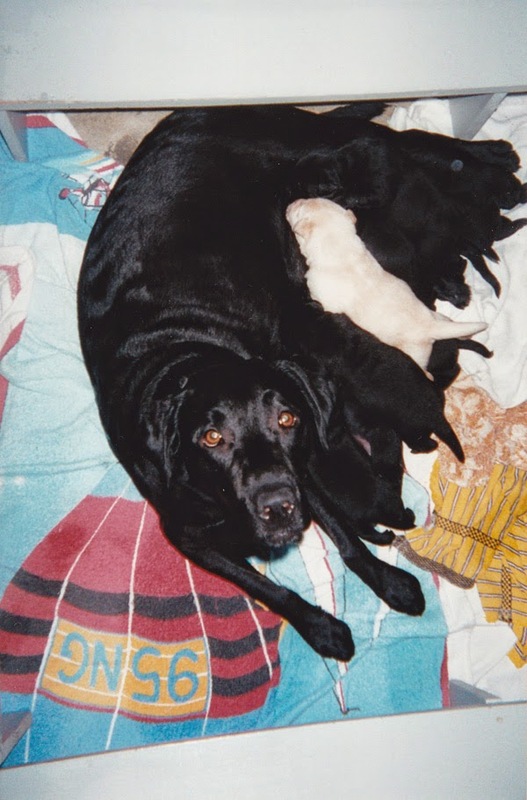 He raised enough money to sponsor at least 5 special puppies that would eventually be trained to serve as guide dogs. 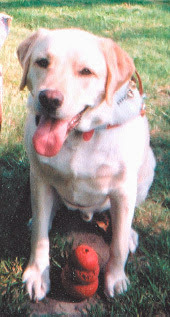 In fact, it was his face alone that raised the funds to sponsor Horace, a handsome Australian Shepherd that would eventually be matched with the then President of Guide Dog Users of Florida. Zack even took time out of his busy schedule to pen "Zack's Tales," a "pawdobiographical" account of his early days and the first two years of working with his "mom." In his short lifetime Zack traveled thousands of miles, across dozens of states always the pillar of strength and independence for his mom. Their most memorable journey together, though, was that beautiful Sunday morning-Palm Sunday, in fact- when he led his mom down that church aisle to receive and accept Christ! Since that time the two of them became licensed and ordained; anointed; received special dispensation to receive Holy Communion in an Indiana Catholic church; had their feet washed (he drank the water); received and projected the "Laying on of Hands" practice. He has visited virtually thousands in schools, hospitals, churches, businesses and assisted living facilities. It was he who would inspire our very first Top Dog way back in 2004 on a state level and the Southeastern Top Dog Workshops in 2006. Thanks to him hundreds of our blind brothers and sisters have come together in friendship and fun. Zack retired from guiding his mom fulltime in November, 2010, taking on the job of directing "homeland security." Whenever his mom and her successor guide Jessie left the house, it was Zack's job to take care of things at home, including any food that may have been left on the edge of the table or kitchen counter. 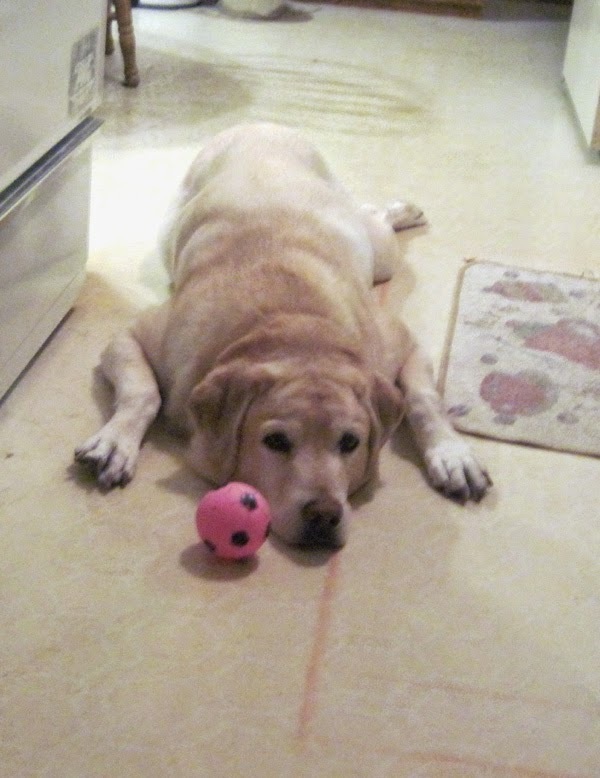 Ever faithful, Zack was always there for an enthusiastic welcome home (sometimes still licking crumbs from his whiskers), always ready for an exhilarating game of playing ball with his "mom and Bubby"." "Zack was my buddy; my heartstrings; my first key to independence and my inspiration and I was and am proud to share him with the World," Audrey says. "Much too soon I had to return him back to the One from which he came and I miss him terribly. However, I thank God for those thousands of precious memories He's left me with and I thank you for allowing me to share him with you." Yes, on April 11, 2014, God called this handsome young man Home to be with Him. Surely, Heaven is a little brighter now with Zack there, probably chasing a ball from star to star as he plays with his puppy raiser, "Daddy Lew" who passed away earlier this year. Our thanks to Cheri, who helped provide many of these pictures and continues to be a treasured member of our extended family. Cheri's devotion to raising Zack in his early days has led to the blessing of so many lives, too numerous to mention here. "Zack was a faithful and obedient servant," Cheri writes. "I hope he hears from the Lord, 'Well done my good and faithful servant.'" 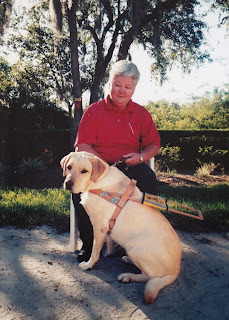 Audrey adds, "I also thank Southeastern Guide Dog School for providing me with a life that I dared not even dream of ever having." So many of us are so much the better for having known and loved Zack, that gallant, faithful, loving, whimsical, wonderful Guide Dog. He left his paw prints on our hearts, and for that we are truly grateful.